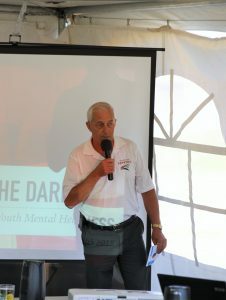 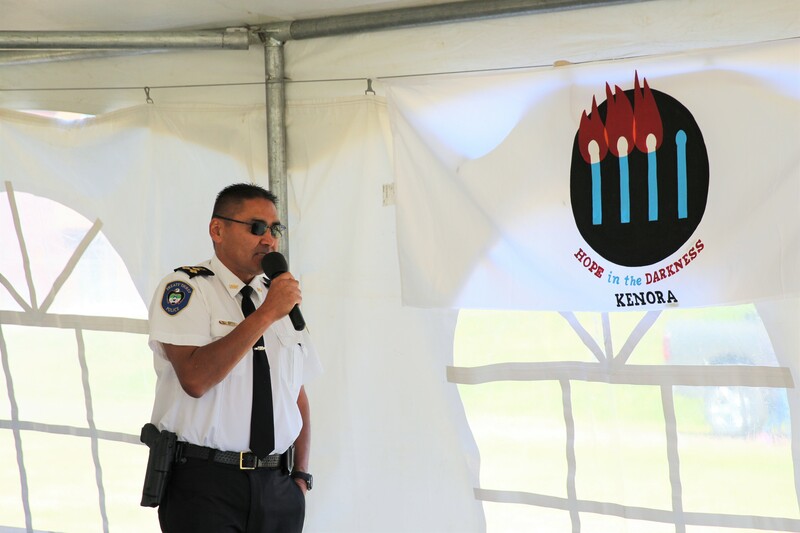 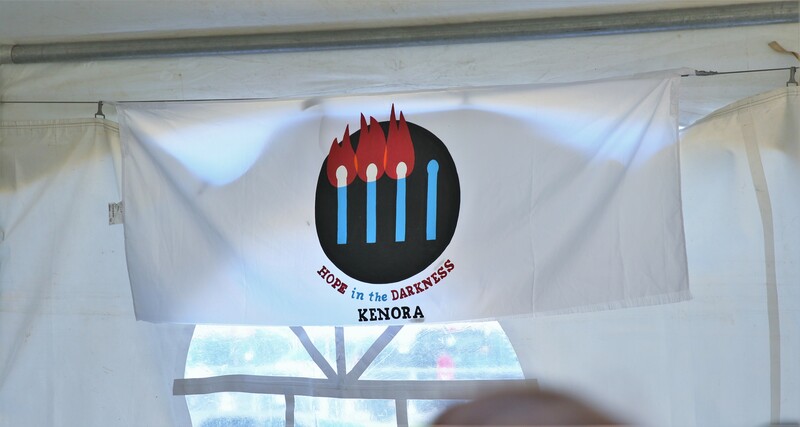 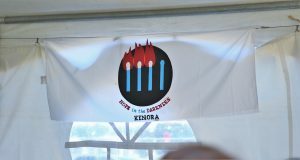 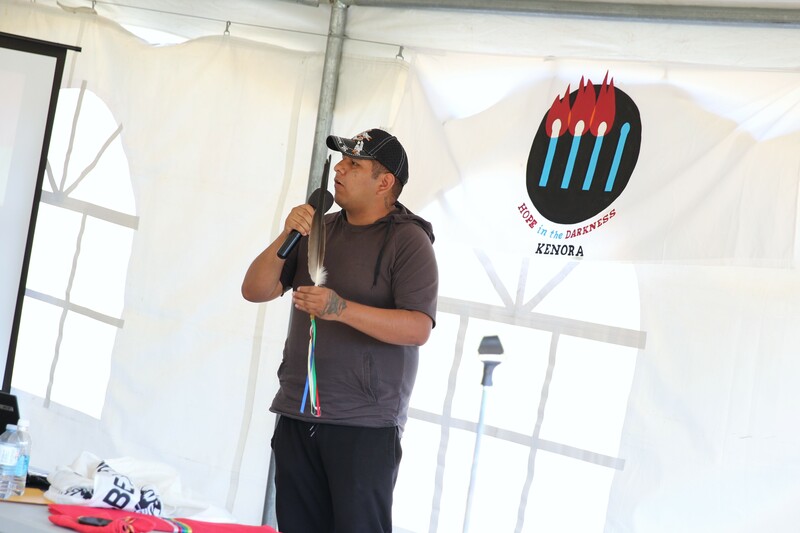 Kenora, ON – On Thursday, July 26, 2018, The Hope in the Darkness National Walk for Youth Mental Health passed through Kenora, Ontario. 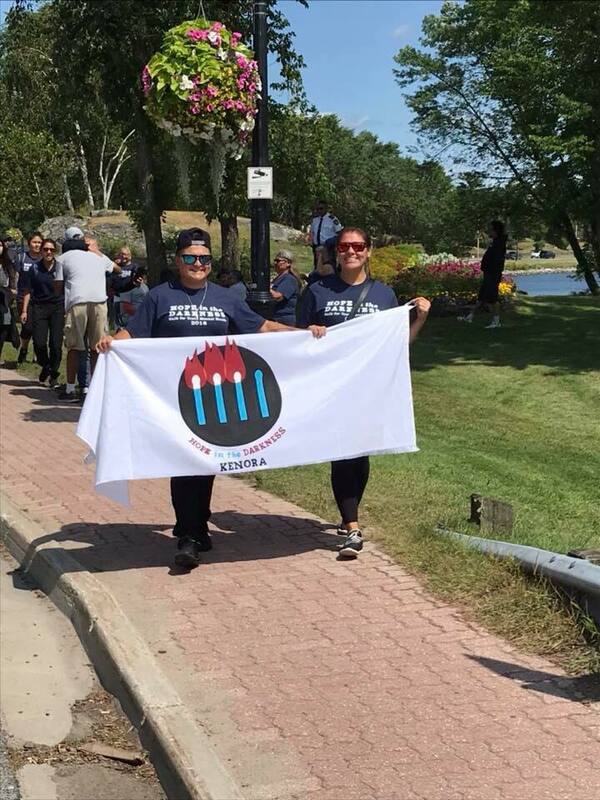 This Walk was started by Anishinabek Police Service Sgt. 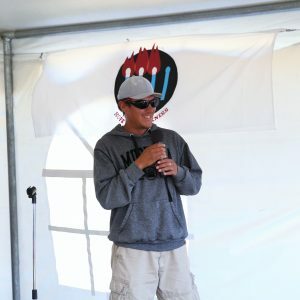 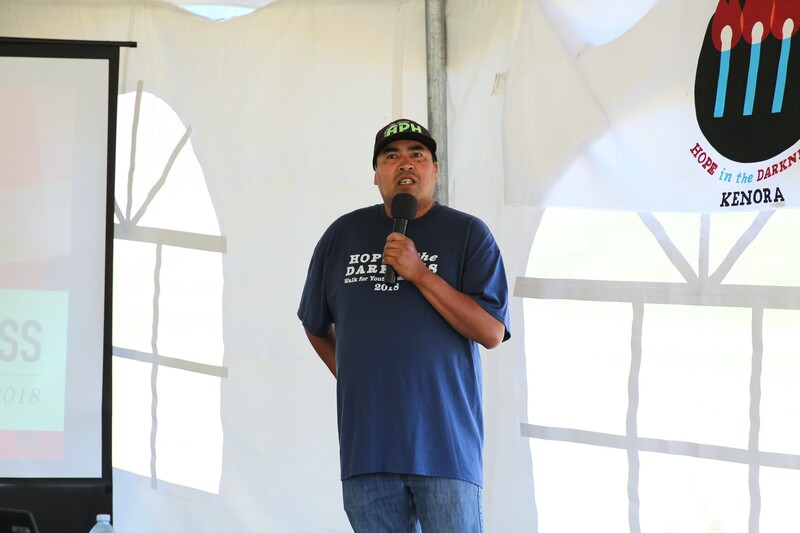 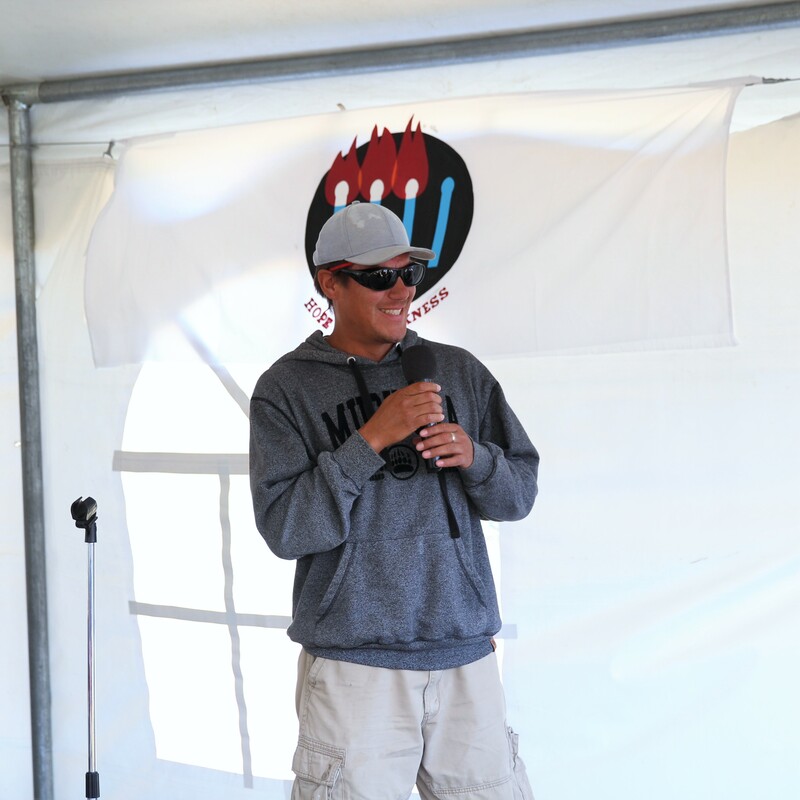 Kevin Redsky of Shoal Lake 40 Fire Nation after the loss of a niece to suicide in 2013. 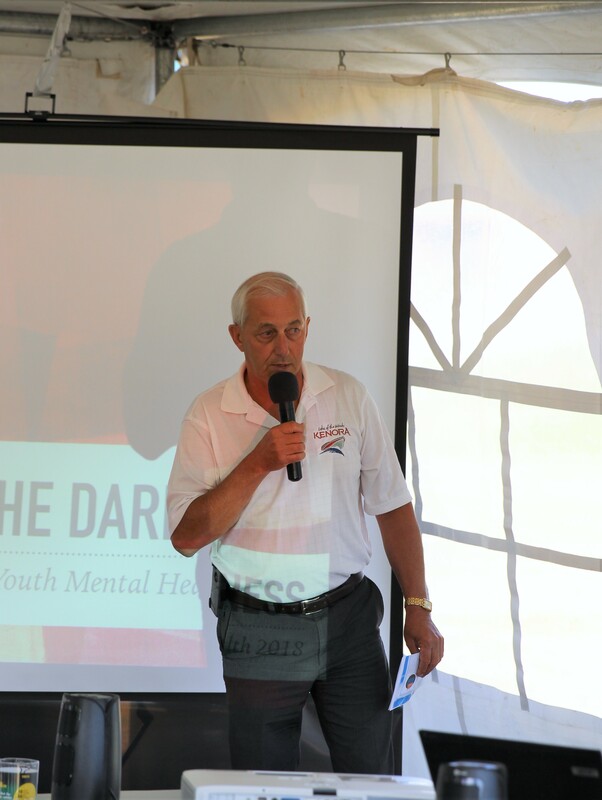 The goal of the walk is to bring together youth and police to build relationships and collaboratively address mental health issues. 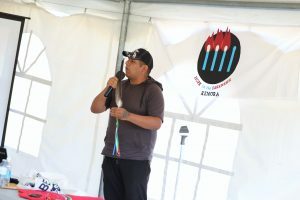 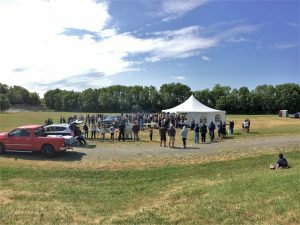 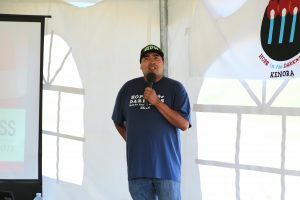 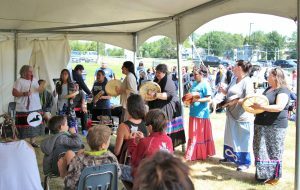 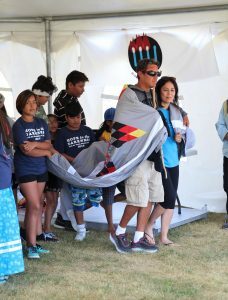 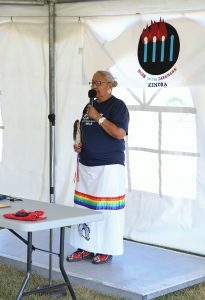 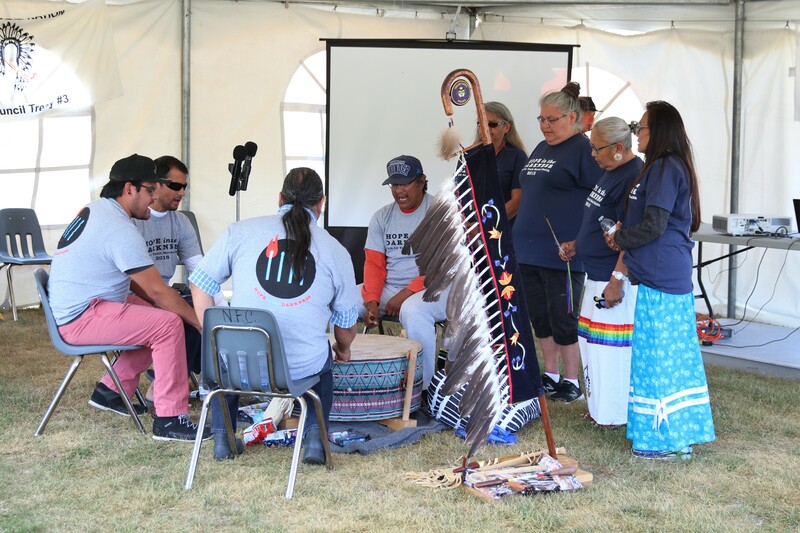 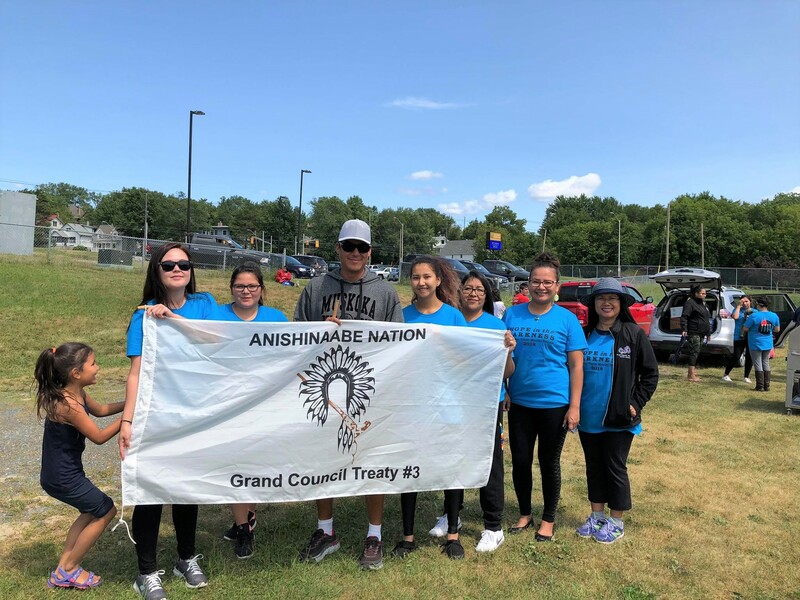 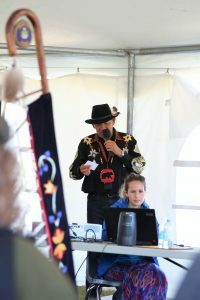 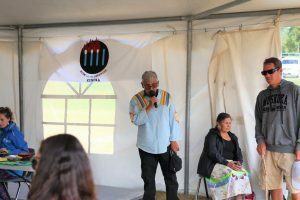 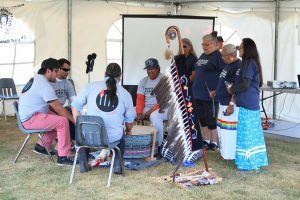 A welcoming ceremony started at 10 a.m. on the outskirts of Kenora where drummers joined the walkers to Seven Generations Education Institute at 240 Veterans Drive for a rally and fundraising barbecue held at 11 a.m. A community walk to Keewatin Place commenced at 2 p.m. 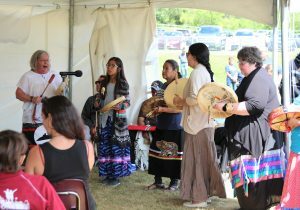 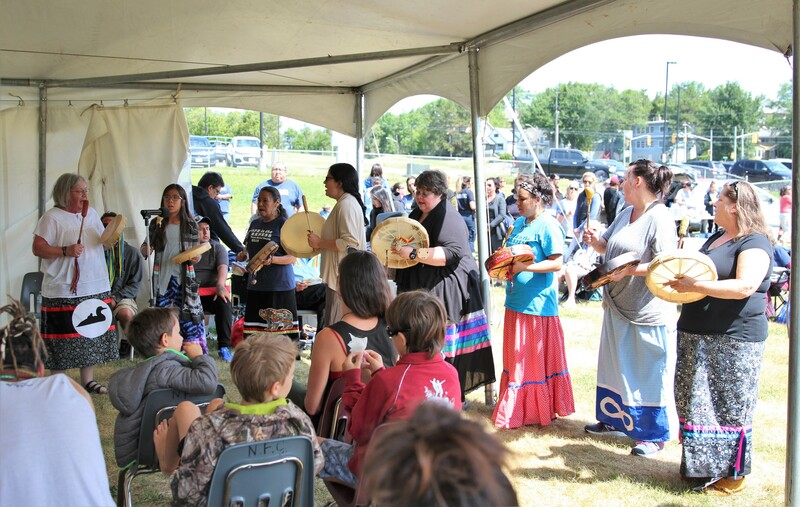 The event at 11 a.m. included honour songs by the Whitefish Bay Singers and Maang Ganoondaagozid (Loon Call), Women’s Singers, opening prayers and traditional greetings. 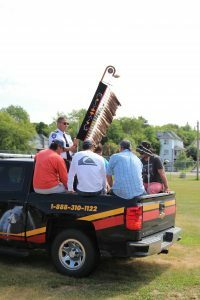 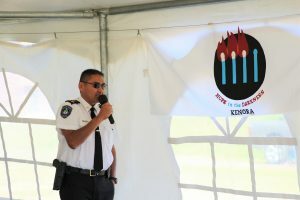 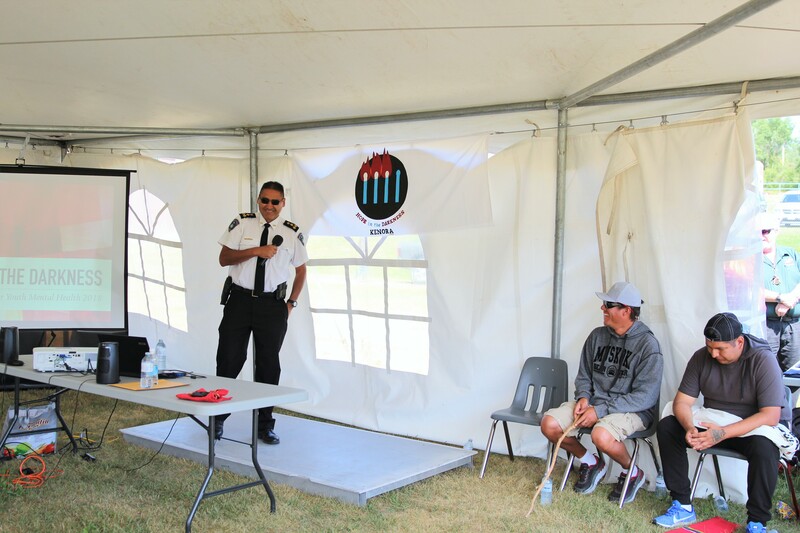 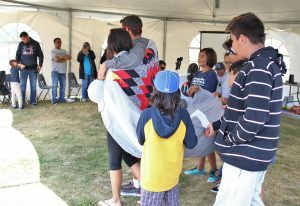 Speakers included Ogichidaa Francis Kavanaugh, Treaty #3 Police Chief Skye and OPP Commander Duggan. 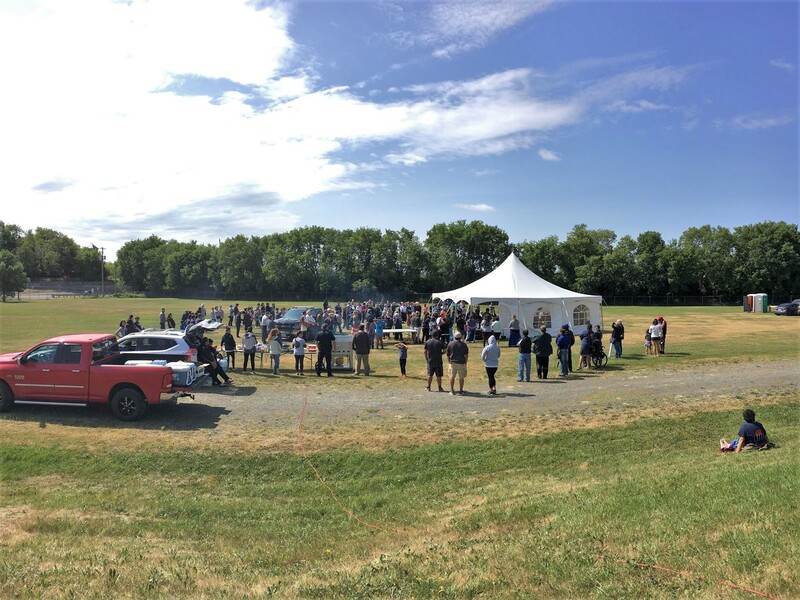 The barbecue fundraiser was $5 per person. 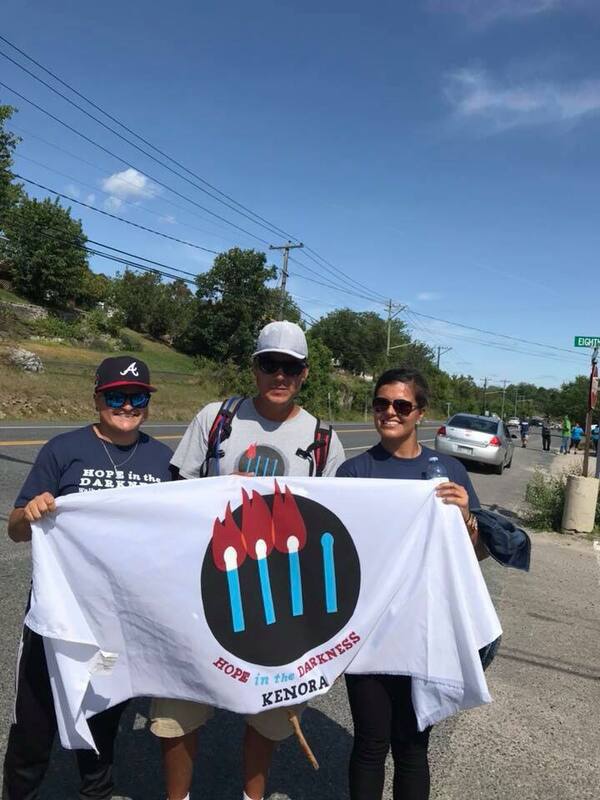 At 2 p.m. the walk continued from Veterans Drive to Granite Lake. 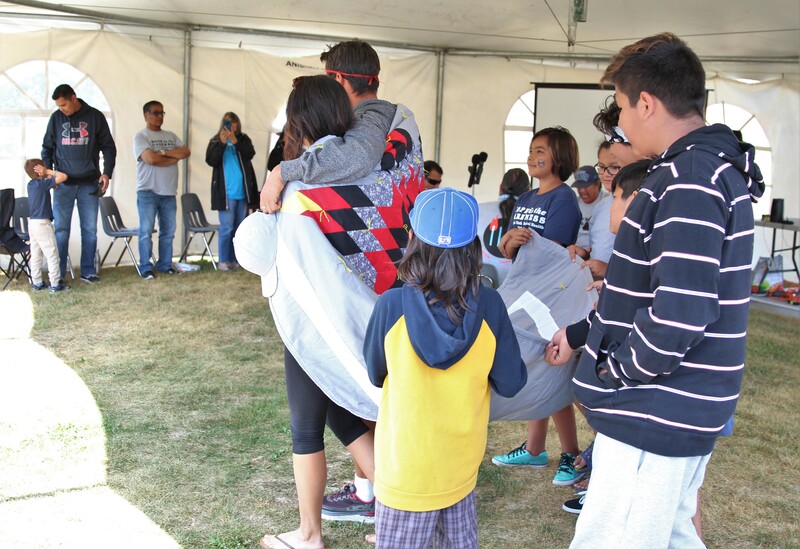 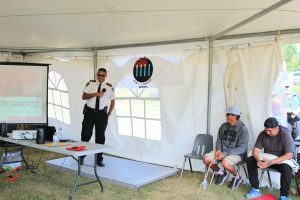 Youth and other community members were invited to join the 5.8 km stretch through Kenora to Keewatin Place along Lakeview Drive. Ogichidaa Francis Kavanaugh and Grand Council Treaty #3 saluted the work done by Sgt. 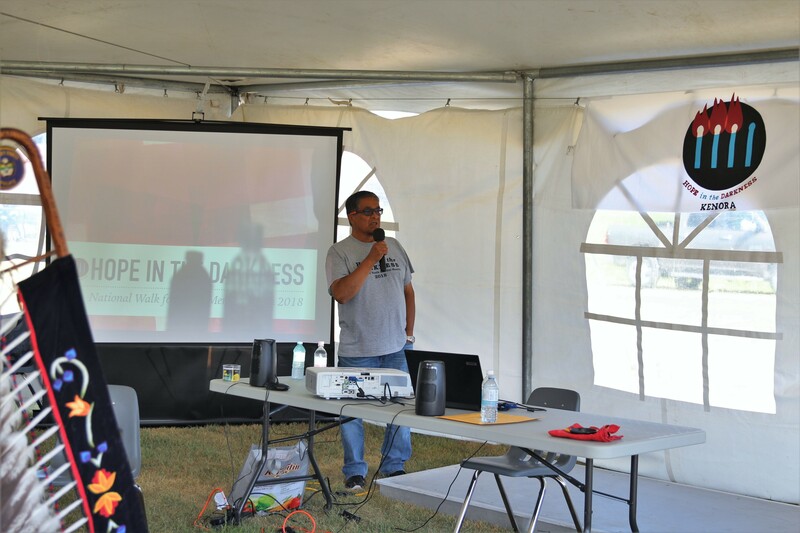 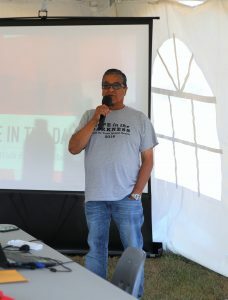 Redsky to raise awareness for mental health issues, and were proud to welcome a member of the Anishinaabe Nation in Treaty #3. Improving access to mental health services is a high priority for Ogichidaa Francis Kavanaugh.